作者机构： [Peng, Qing-Hua; Wu, Quan-Long; Li, Dian; Li, Chuan-Ke; Zhu, Hui-An; Chen, Mei; Wu, Da-Li; Yao, Xiao-Lei; Tan, Han-Yu] Hunan Univ Tradit Chinese Med, Affiliated Hosp 1, Dept Ophthalmol, Changsha 410007, Hunan, Peoples R China. ;[Peng, Jun] Nanhua Univ, Sch Med, Hengyang 421001, Hunan, Peoples R China. 通讯机构： [Peng, Qing-Hua] Hunan Univ Tradit Chinese Med, Affiliated Hosp 1, Dept Ophthalmol, Changsha 410007, Hunan, Peoples R China. 摘要： AIM: To assess the effects of extract of Buddleja officinalis on tear secretion volume, tear film stability, expressions of TGF-beta 1, IL-1 beta, TNF-alpha in lacrimal gland of castrated rabbits with dry eye. METHODS: A total of 30 victory rabbits were divided averagely into normal group (A), model group (B), therapy group with low dose extract of Buddleja officinalis (C), therapy group with high dose extract of Buddleja officinalis (D) and therapy group with genistein (E). The dry eye model was established with orchiectomy on Group B, C, D, E. Group C, D, E were administered intragastrically with corresponding dose extract of Buddleja officinalis or genistein for 30 days. All rabbits were detected with SIT. TGF-beta 1, IL-1 beta, TNF-alpha were detected with immunohistochemistry and the ultrastructure of lacrimal gland was observed under transmission electron microscope. RESULTS: The SIT value of group C, D, E were respectively 13.167 +/- 4.957, 14.667 +/- 5.279, 8.667 +/- 0.516, obviously higher than that of group B 5.667 +/- 2.338 (P<0.01). The positive expression of IL-1 beta in acinar cell and glandular tube cell of group C, D were 0.470 +/- 0.048, 0.510 +/- 0.088, obviously lower than that of group B 0.770 +/- 0.118 (P <0.01). The positive expression of TNF-alpha of group C, D were 0.498 +/- 0.156, 0.435 +/- 0.069, obviously lower than that of group B 0.769 +/- 0.095 too (P <0.01). The positive expression of TGF-beta 1 of group C, D were 0.406 +/- 0.171, 0.497 +/- 0.147, obviously higher than that of group B 0.222 +/- 0.113(P<0.01). Any result of group C, D was positive compared with that of group E (P <0.05). Ultrastructure of the lacrimal gland of group C, D, E was well preserved, especially in D group it was remarkable. CONCLUSION: The extract of Buddleja officinalis can adjust lacrimal gland partial inflammation of dry eye. Retinitis Pigmentosa Treatment with Western Medicine and Traditional Chinese Medicine Therapies. 通讯机构： [Peng, Qinghua] Hunan Univ Tradit Chinese Med, Affiliated Hosp 1, Dept Ophthalmol, Changsha 410007, Hunan, Peoples R China. 摘要： Current management of retinitis pigmentosa (RP) includes an attempt at slowing down the degenerative process through therapies that use either Western or traditional Chinese medicine (TCM). Novel therapies in Western medicine (WM) include use of tailor-made gene therapy, transplantation of stem cells, or neuroprotection treatment. TCM treatment includes two major approaches. These are orally applied herbal decoctions and acupuncture. In fact, all TCM treatments are based on the differentiation of a symptom-complex, which is the characteristic essence of TCM. Thus, diagnosed RP may be treated via the liver, the kidney, and the spleen. The principle behind these treatments is to invigorate the blood and brighten the eyes by toning up the liver and the kidney. Also treatments to cope with deficiencies in the two concepts that are unique and fundamental to TCM are considered: Qi or "vital energy" and Yin and Yang or the harmony of all the opposite elements and forces that make up existence. In particular, the Qi deficiency that results from blood stasis is addressed in these treatments. This paper also puts forward the existing problems and the prospect of the future development on integrating TCM with WM. 作者机构： [Peng, Qing-Hua; Liu, Yan; Li, Wen-Juan; Tan, Han-Yu] Hunan Univ Tradit Chinese Med, Affiliated Hosp 1, Key Disciplines Chinese Med Ophthalmol, Changsha 410007, Hunan, Peoples R China. 通讯机构： [Peng, Qing-Hua] Hunan Univ Tradit Chinese Med, Affiliated Hosp 1, Key Disciplines Chinese Med Ophthalmol, Changsha 410007, Hunan, Peoples R China. 摘要： AIM: To explore the effect of Qingguangan on the expressions of MMP-2 and MMP-9 in filtering bleb scarring area after trabeculectomy in rabbit model. METHODS: Thirty-two New Zealand rabbits were randomized into four groups: control group, experimental group, MMC group (ocular trabeculectomy in combination with MMC), and Qingguangan group. Trabeculectomy was performed on both eyes in each group except control group. Qingguangan group was mouth-fed with Qingguangan (solution). On postoperative day 14, the appearances of MMP-2 and MMP-9 on filtrating blebs were observed by immunohistochemistry. RESULTS: Statistical differences of the expressions of MMP-2 and MMP-9 were noted among groups on day 14 following surgery. Histology immunohistochemistry showed significant differences on the expressions of MMP-2 and MMP-9 between each groups( P<0.05). CONCLUSION: Qingguangan can promote the expressions of MMP-2 and MMP-9. Effect of Buddleia flavonoids drug-containing plasma on the expression of STAT1 phosphoprotein in lacrimal gland epithelial cells in vitro. 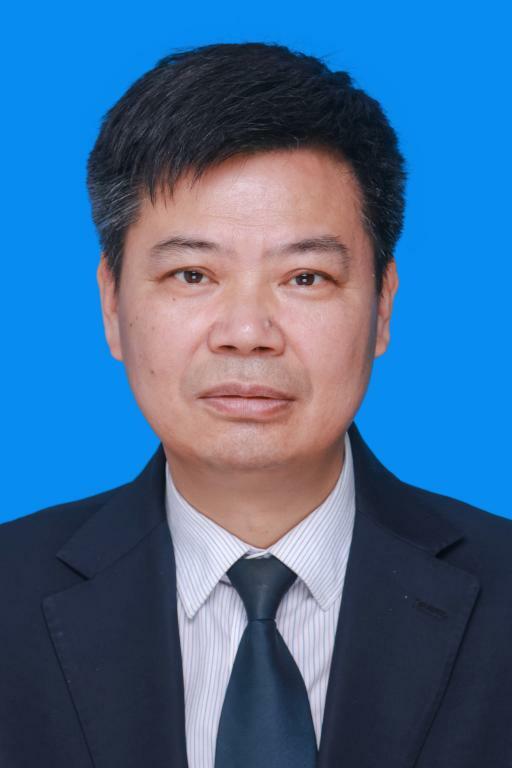 作者机构： [彭清华; 吴权龙; 李点] Hunan Univ Tradit Chinese Med, Key Disciplines Chinese Med Ophthalmol, Affiliated Hosp 1, Changsha 410007, Hunan, Peoples R China. ;[王方; 姚小磊] Guiyang Univ Tradit Chinese Med, Dept Ophthalmol, Affiliated Hosp 2, Guiyang 550003, Guizhou Prov, Peoples R China. 通讯机构： [Peng, Qing-Hua] Hunan Univ Tradit Chinese Med, Key Disciplines Chinese Med Ophthalmol, Affiliated Hosp 1, Changsha 410007, Hunan, Peoples R China. 摘要： AIM： To explore the effect of Buddleia flavonoids drugcontaining plasma and androgen receptor（AR） blocker on the expression of STAT1 phosphoprotein. METHODS： In vitro lacrimal gland epithelial cells were cultivated with H2O2 to establish the dry eye apoptosis state. Blank plasma group, Buddleia officinalis plasma total flavonoids interfere with drug-containing group, and the intervention group of testosterone propionate were set. The expressions of STAT1 phosphoprotein of each group were observed by Western blot and AR blocker flutamide was used to explore the intended androgen effect of Buddleia flavonoids. RESULTS, After the intervention of drug-containing plasma, the expression of STAT1 Phosphoprotein in Buddleja officinalis drug-containing plasma intervention group （0. 353 ± 0. 494 ） and testosterone propionate intervention group（0. 502 ± 0. 036） were enhanced and the differences between the two groups were significant （P 〈 0.01 ）. After using the AR blocker in all groups, the expression of STAT1 phosphoprotein in each group （0.268± 0. 061,0. 283 ± 0. 106,0. 213 ± 0. 071） had no difference. CONCLUSION. Buddleja officinalis drug-containing plasma total flavonoids can promote the expression of STAT1 phosphorylation. 作者机构： [Peng, Qinghua; Yu, Jingsheng; Chen, Xiangdong; Yan, Jiazhao] Hunan Univ Chinese Med, Hosp 1, Dept Ophthalmol, Changsha 410007, Hunan, Peoples R China. ;[Qin, Yuhui] Hunan Univ Chinese Med, Hanpu Sci & Technol Pk, Changsha 410208, Hunan, Peoples R China. ;[Yan, Jiazhao; Qin, Yuhui] Hunan Univ Chinese Med, Coll Tradit Chinese Med 1, Changsha 410208, Hunan, Peoples R China. 通讯机构： [Qin, Yuhui] Hunan Univ Chinese Med, Hanpu Sci & Technol Pk, Changsha 410208, Hunan, Peoples R China. 摘要： Long-term exposure to ultraviolet B (UVB) light increases the risk of UVB damage due to increased UVB absorption by the retina and may further lead to age-related eye diseases. The retinal pigment epithelium (RPE) cell is a main target of UVB reaching the retina; its degeneration is an essential event in UVB-mediated age-related macular degeneration (AMD). Herein, we first evaluated the expression and effect of iASPP, an inhibitory regulator of apoptosis, in UVB-induced RPE cell damage. Through the mechanism of RNA interference at the post-transcriptional level, miRNA affects a variety of cellular processes, including UVB-mediated cell damage. We next screened for upstream candidate miRNAs that may regulate iASPP expression. Among 8 candidate miRNAs, UVB significantly increased miR-340 levels. We also confirmed the direct binding of miR-340 to the 3'UTR of iASPP, and assessed the combined effect of miR-340 and iASPP on UVB-induced RPE cell damage. Taken together, we demonstrated the possible mechanisms involved in UVB-induced retinal damage. In RPE cells, UVB irradiation inhibits iASPP expression through inducing miR-340 expression, thereby promoting RPE cell apoptosis and suppressing cell viability via affecting p53, p21 and caspase-3 protein expression. Targeting miR-340 to rescue iASPP expression in RPE cells may help treat UVB-mediated retinal damage. Effects of eye drops of Buddleja officinalis Maxim. extract on lacrimal gland cell apoptosis in castrated rats with dry eye. 摘要： OBJECTIVE: To explore the possible mechanism of eye drops of Buddleja officinalis extract in treating dry eye of castrated rats by analyzing the expressions of Bax and Bcl-2 proteins. METHODS: Forty-five Wistar male rats were randomly divided into sham-operated group, untreated group and eye drops of Buddleja officinalis Maxim. extract (treatment) group. The dry eye model was established with orchiectomy in the untreated group and treatment group. Rats in the treatment group were treated with eye drops of Buddleja officinalis Maxim. extract, one drop once, three times daily. Eyes of rats in the sham-operated group and untreated group were instilled with normal saline. After one-, two-, or three-month treatment, five rats in each group were scarified respectively. Then samples were taken to detect related indices. Expressions of Bax and Bcl-2 of lacrimal gland were checked by immunohistochemical method and quantity of apoptotic cells was counted. RESULTS: After one-, two- or three-month treatment, the quantities of expressions of Bax in acinar epithelial cells and glandular tube cells were significantly lower, and those of Bcl-2 were significantly higher in the treatment group than in the untreated group, and the quantities of apoptotic cells of the treatment group were significantly lower than those of the untreated group (P<0.01). CONCLUSION: The main components of extract of Buddleja officinalis Maxim. are flavonoids, which can significantly inhibit cell apoptosis in lacrimal gland. 通讯机构： [Peng, Qing-Hua] Hunan Univ Tradit Chinese Med, Changsha 410208, Hunan, Peoples R China. 摘要： Glaucoma, the second leading cause of blindness, is an irreversible optic neuropathy. The mechanism of optic nerve injury caused by glaucoma is undefined at present. There is no effective treatment method for the injury. Stem cells have the capacity of self-renewal and differentiation. These two features have made them become the research focus on improving the injury at present. This paper reviews the application progress on different types of stem cells therapy for optic nerve injury caused by glaucoma.